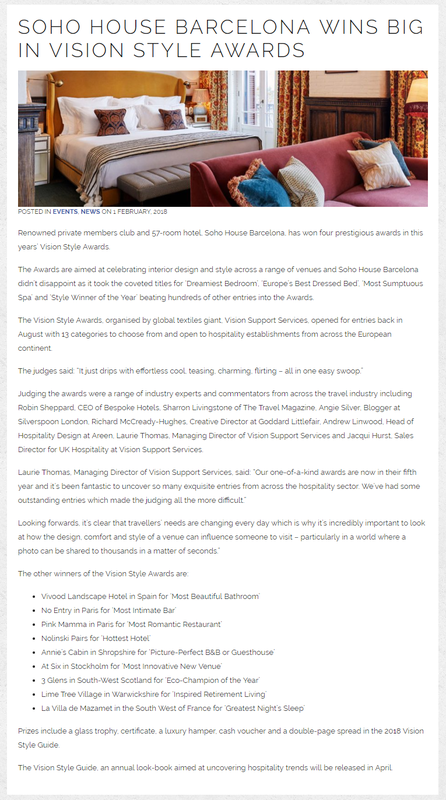 Soho House Barcelona wins big in Vision Style Awards. Source: Space Magazine | February 1 2018. Little Beach House Barcelona Conde Nast Traveler Spain | August 3, 2018.